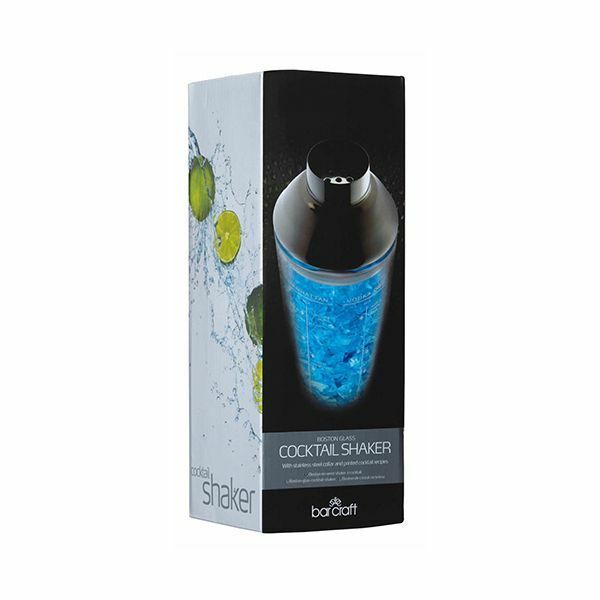 This stylish glass cocktail shaker is perfect for serving cocktails at home for friends and family when entertaining. 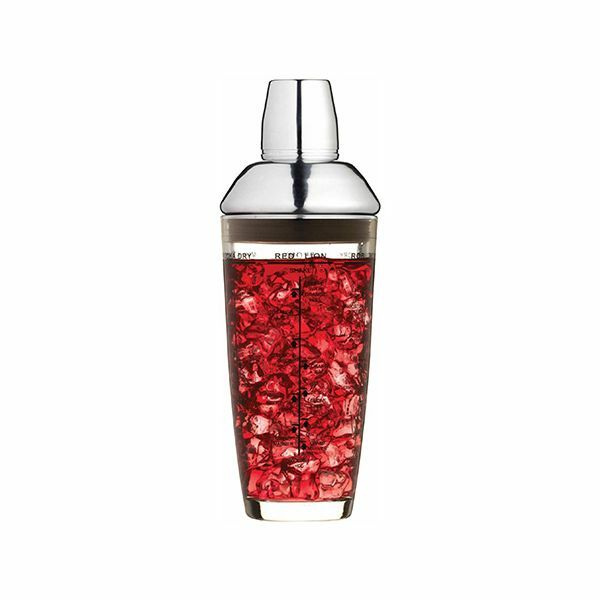 The stainless steel cap and lid contrast well with the glass shaker base. 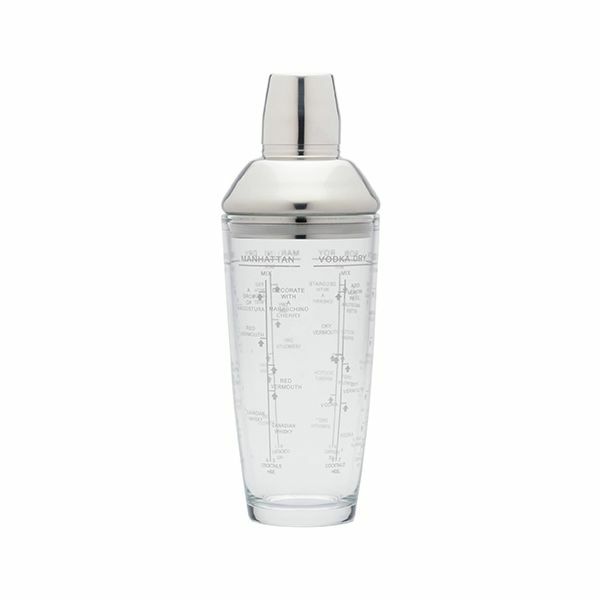 Featuring recipes marked on the outside of the glass, including favourites like Martini and Manhattans.